Ikea plans to enter the housing market in Europe by building around 10,000 units a year of hybrid multi-family houses. The materials used will be wood, steel, and concrete. The project will be developed by the Italian enterprise WoodBeton, one of the Italian leaders in prefabricated housing. 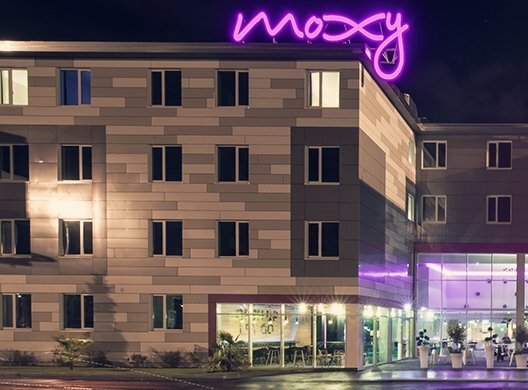 WoodBeton is already collaborating with Ikea as it is building wood hotels for Moxy (Marriott International's new millennial-focused boutique hotel concept). The first hotel, which has 180 rooms, has already been finalized and it is located at the Terminal 2 of Malpensa, one of the airports of Milan. Fifteen more hotels have already been built, ten of which have already been opened. The CEO of WoodBeton, Giovanni Spatti, has declared that the new houses may have different materials for the same wall so as to take advantage of the characteristics of the materials utilized.